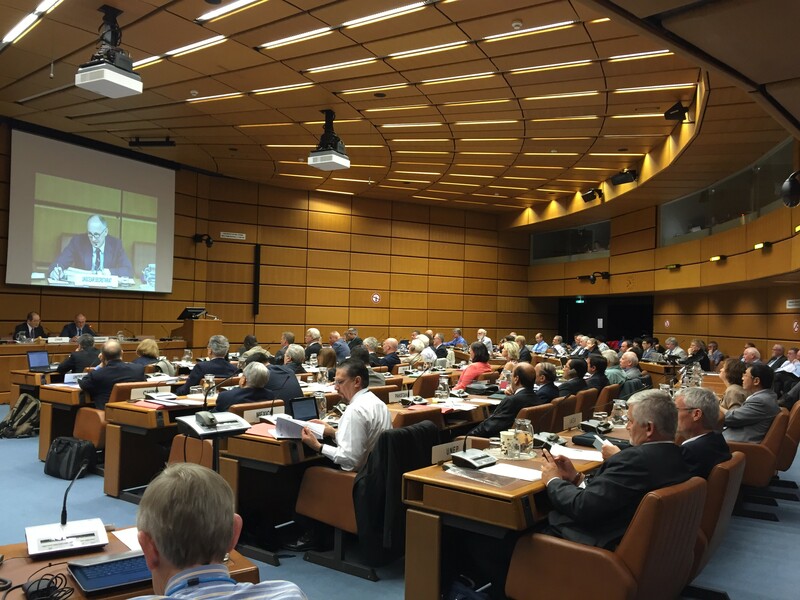 Helen Grogan served as one of the eleven U.S. delegates at the 63rd session of the United Nations Scientific Committee on the Effects of Atomic Radiation (UNSCEAR) in Vienna, Austria, from June 27 through July 1, 2016. This is Helen’s third year serving on UNSCEAR. The 2016 UNSCEAR delegates for the U.S. (shown above, L to R) are John Boice, Vince Holahan, Lynn Anspaugh, Bruce Napier, Helen Grogan, Julian Preston, Gayle Woloschak, Wesley Bolch, David Pawel, Armin Ansari, and Naomi Harley. Malcolm Crick, UNSCEAR Secretariat, addressing the participants at the opening session. Emily Caffrey was presented with her doctoral degree at the Oregon State University commencement ceremony on June 11, 2016. Emily received her Ph.D. in Radiation Health Physics with a minor in Statistics. Her research included environmental dose assessment and computational dosimetry methods. Helen Grogan was in Vienna, Austria, February 15 through 19, 2016, helping with the preparation of an UNSCEAR (United Nations Scientific Committee on the Effects of Atomic Radiation) report that addresses radiation exposures from electricity generation. Art Rood gave an invited presentation on exposure pathways from Technically Enhanced Naturally Occurring Radioactive Material (TENORM) at an NCRP workshop on TENORM in unconventional oil and gas production. The workshop was held February 1-2, 2016, at the 49th Midyear Meeting of the Health Physics Society in Austin, Texas. John Till was selected to be a member of the newly formed NCRP Scientific Committee 1-25. The committee is charged with preparing an NCRP Commentary on “Recent Epidemiologic Studies and Implications for the LNT Model”. The work is supported by the US NRC. The committee will look at recent literature related to low dose exposures to determine the continued appropriateness of the LNT model for radiation protection. John will be assisted by RAC team members Helen Grogan and Harold Beck in evaluating the dosimetry used in the epidemiologic studies being evaluated. For more information about NCRP SC 1-25, download Dr. Boice’s November 2015 newsletter from the NCRP website (PDF download). John Till attended a meeting of NCRP Council Committee 1 (CC-1) in December 2015 at NCRP headquarters in Bethesda, MD. CC-1 was formed in early 2014 to write an NCRP report updating and expanding on NCRP Report No. 116, Radiation Protection Guidance for the United States, which was published in 1993. Substantial advances in radiation effects knowledge, as well as radiation protection understanding and culture, have occurred, and the new report will serve as an update. For more information about NCRP CC-1, visit the NCRP website. Helen Grogan and John Till enjoyed being guided by the father of radioecology, Professor F. Ward Whicker, Colorado State University, on an ecological fact finding and snowshoeing adventure in Rocky Mountain National Park. Helen Grogan met with members of the National Council on Radiation Protection and Measurements (NCRP) Scientific Committee 3-1 on Emergency Response Dosimetry in Norwich, CT, during the week of November 16, 2015. The committee discussed its work at the New England Radiological Health Conference in Norwich, as part of the committee’s stakeholder engagement efforts. Helen also had the opportunity to check out the controls of a P-47 Thunderbolt at the “Night at the Museum”, hosted by the New England Air Museum for the New England Radiological Health Conference. 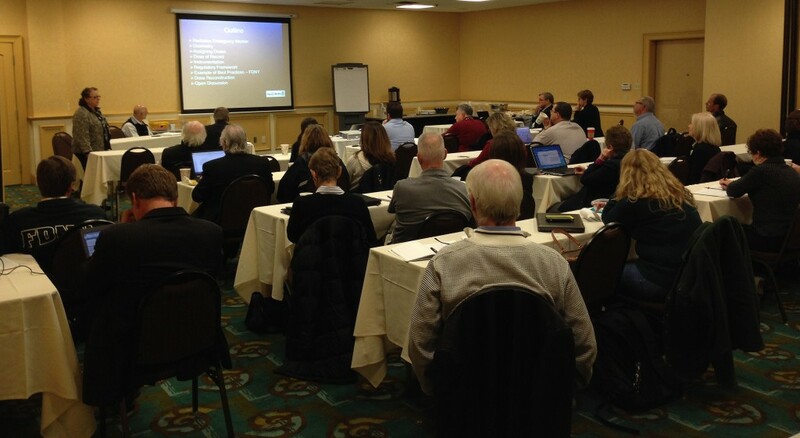 NCRP SC3-1 discusses its work at the New England Radiological Health Conference. 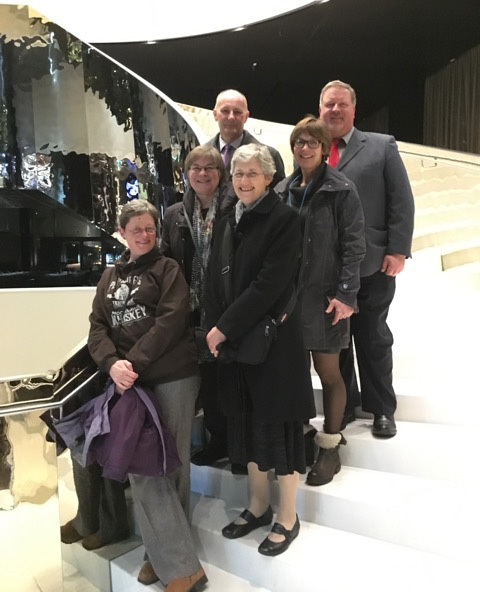 Mr. Art Rood attended a meeting in Oslo, Norway, during the week of November 16, 2015, with ICRP Task Group 98, Application of the Commission’s Recommendations to exposures resulting from contaminated sites from past industrial, military, and nuclear activities. The mandate of the task group is to develop a report that describes and clarifies the application of the Commission’s Recommendations on radiological protection of workers, the public, and environment to exposures resulting from sites contaminated due to past industrial, military, and nuclear activities. 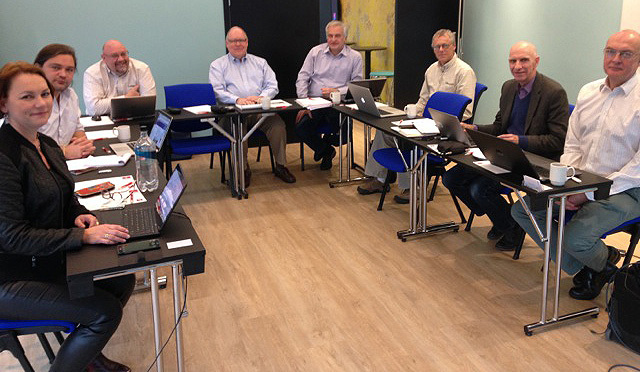 ICRP Task Group 98 meeting in Oslo, Norway.